When will be Cold War Armageddon next episode air date? Is Cold War Armageddon renewed or cancelled? Where to countdown Cold War Armageddon air dates? Is Cold War Armageddon worth watching? The Cold War - an era when nuclear weapons kept the entire world on edge, as political and military tensions simmered among global super powers. With great change on the horizon, the world watched as Russia, China and the United States flexed their military muscles on the global stage, each one determined to reshape the world in their own image. Premiering Wednesday, October 12 at 10/9c, American Heroes Channel's (AHC) new eight-part series, Cold War Armageddon transports viewers back forty years as the horrors of World War II ended, and a new kind of war began. 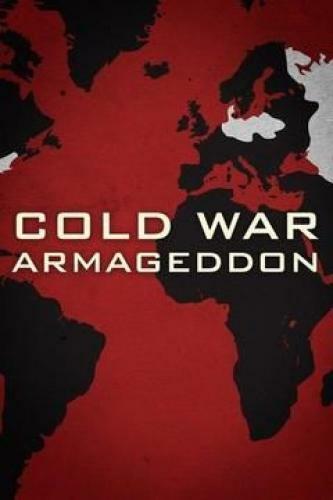 When the push of a single button could trigger mass destruction, Cold War Armageddon examines how the world was changed forever in one of the greatest power struggles in history. By the mid 1970s, the Cold War has remained a fact of life for decades. But 30 years into the war, and the doctrine of mutually assured destruction doesn't feel like a roadmap to peace. It's an arms race, a propaganda war and at times, a deadly game. By the end of the 70s, war between East and West has been raging for decades. Countless proxy wars have proven how destructive this so-called Cold War can be. It's an arms race, a propaganda battle and at times a deadly game. In the early 1980s the next battlefield in the struggle between communism and democracy, emerges in the United States' own backyard. The Cold War is an arms race, a propaganda battle and at times a deadly game. In 1989, the USSR pulls out of Afghanistan and the last remaining proxy conflict of the Cold War ends. A new era emerges as brutal barriers are broken down. A peaceful transition is what the watching world prays for, but is by no means a sure thing. Cold War Armageddon next episode air date provides TVMaze for you. EpisoDate.com is your TV show guide to Countdown Cold War Armageddon Episode Air Dates and to stay in touch with Cold War Armageddon next episode Air Date and your others favorite TV Shows. Add the shows you like to a "Watchlist" and let the site take it from there.